$35.00 & FREE Shipping on orders over $59. Replacement lid for Ss Brewing Technologies 7 gallon fermentors. 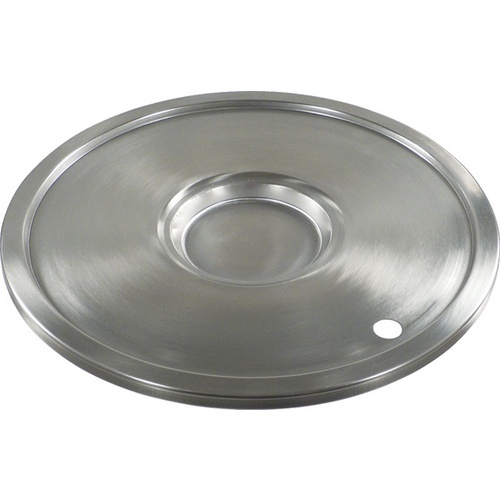 This replacement lid is made from certified food-grade 304 stainless. Comes with a 17mm pre-punched hole for the stopper and airlock. is this like the Brewmaster lid where the 17mm hole is flared so it doesn't cut up the stopper ? BEST ANSWER: Hello Michael - The opening is flared and beveled as to not damage a stopper.